Stella McCartney's cosmetics case is the perfect size for slipping into your tote for days when you need to dash from the office to evening drinks. 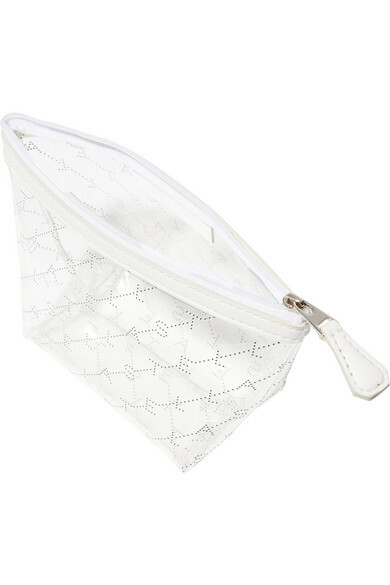 It's made from faux leather and clear PU - ideal for keeping your makeup essentials organized - and is stamped all-over with the label's logo. Please note, beauty products are not included.